Have you ever felt nervous about making a mistake at work? Jill Roche shares a story which suggests you should look at mistakes as opportunities. This week we welcome our first guest speaker for 2019 to Anecdotally Speaking! Jill Roche is the Chief of Corporate Affairs at World Vision Australia. She shares a story which suggests we should look at mistakes as opportunities. 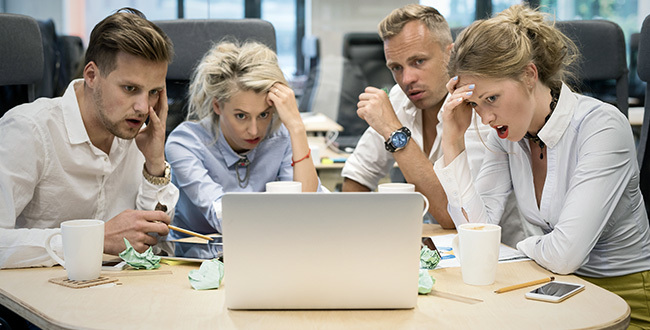 Imagine unthinkingly hitting the ‘reply all’ button on an email and sending a note, intended for your immediate team, to your entire organisation! Jill made this mistake, but she owned it and used it to make a point. In September 2018, a large earthquake struck Sulawesi, Indonesia, triggering a tsunami and several landslides. Staff at World Vision Australia were quick to respond to the disaster. They pulled together an emergency response team, appealed to the Australian public to raise funds, and sent a high profile contingent, including chief advocate Tim Costello, from Australia to Indonesia. Their goal was to garner political and financial support, and media coverage, for the response in Indonesia. It was a very busy time for the organisation. One of the organisation’s board members, the Chair of the World Vision International Board, reached out and said, “Hey, I feel like you guys are doing so much great work there. I would like to come in and just be in the building, be present. I want staff to know that their board is supporting the work they are doing, responding to this emergency while doing all their normal work.” She would fly into Melbourne from another Australian state and arrive within the next 24-48 hours. Jill Roche, the organisation’s Chief of Corporate Affairs, recognised what a rare opportunity it would be for staff to have such close proximity to one of their board members. She and her team accordingly decided they would do what they could to maximise the opportunity. The team managed to arrange a full day’s agenda, consisting of a series of events and activities that the board member could be involved in. They did so while continuing to manage the organisation’s emergency response communications. They then sent an email out to all staff, inviting them to participate. Jill received this email and, in a flurry of activity, didn’t pause to think before she hit the ‘reply all’ button. She wanted to praise her team for pulling it all together, so wrote “Wow, this has turned into a whole big fancy thing now”, and hit send. Her response went to every single person in the organisation. Jill hit the reply all button again, this time intentionally, and replied very formally, “Yes, I acknowledge that I hit the reply all button. That message wasn’t intended for all staff, please disregard”. Later that day, she reflected on her error. She thought, “I’m missing an opportunity if I don’t do something with this… I’ve made a mistake… It was highly visible… I can’t just pretend it didn’t happen”. The next day, the board member arrived. Jill was asked to fill in for one of her colleagues and speak at a town hall meeting, to share a story about why she worked at World Vision. Jill got up on stage and started speaking. She soon paused and asked her audience, “Are you aware of the mistake I made yesterday? Have you ever felt nervous about making a mistake at work?” She spoke about her mistake, then shared the responses she had received to her email. Jill used the story to illustrate the compassion and grace within her organisation. After she had finished speaking, her colleagues came up to her and told her how great her speech was.